Welcome to the April Showers Giveaway Hop, which is hosted by On Honeysuckle Hill! All of the bloggers in this hop are hosting giveaways with prizes worth $25 or more to help drive away those rainy skies! The complete list of participating bloggers is at the end of this post. To help you forget that it’s raining outside, I’m giving away a pair of Jamsonic Super Sound Premium Earbuds with Mic Clip – a value of $29.99! Good sound is a must, and these Jamsonic Super Sound earbuds are an ideal choice for your MP3 player, smartphone, tablet, or any other music player with a standard 3.5mm input. They’re a nice mix of sound quality and a comfortable fit, and this deal is a great choice for any of you who tend to go through headphones like chewing gum. They also feature an inline mic clip for hands-free calling. This giveaway is open to US residents ages 18 and older. Giveaway ends Tuesday, 4/26/16 at 11:59pm EDT. To enter, just use the widget below. 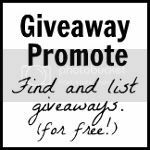 After you enter, use the list at the end of this post to enter the rest of the giveaways in this hop. Good luck! The weather here has been very nice. It hasn’t been too bad but today was a high of 47 but rainy and felt like it was 27 degrees…was a very cold night at softball practice!! The weather here is definitely different from day to day. Yesterday was 83 and sunny and gorgeous! Today was 55, gloomy and rainy. Today is breezy and 80 degrees. It is lovely outside right now. Its in the 80’s and chance of afternoon thunderstorms this week. We’re supposed to have a pretty mild spring, storms headed our way this week though! It’s rainy with storms rolling through all day here. It’s been kind of chilly for spring weather here in Wisconsin. I really wish it would just get warm and stay warm. In Delaware we tend to get maybe 2 weeks of spring and it bounces cold to hot. Yesterday it was really warm but today it’s all rain. We live in the South and so far we’ve had nice weather. It cool mornings and so far the highest temp. has been 82 degrees. Right now- It’s raining. I think that it’s expected to rain all week long. It’s RAINING. Right this second!! It never rains here!! The SoCal desert is going through a horrible drought. Usually, we have wind, dirt, wind + dirt, and hot-hot air. It feels like spring was on the short side in my area it went from 60’s to now upper 80’s with not much time spent in the middle, which is my favorite temp of the 70’s. My Spring weather is chilly and rain. It’s going between snowing and 70 degrees. The weather is very changeable right now…cold and rainy one day and hot and sunny the next. Sunny, finally cool with trade winds but drier than usual hoping for more rain to quench the land of its thirst. Its warm and sunny with occasional storms. I live in Arizona, so the weather is pretty warm. It is supposed to be in the mid 90s by the end of the week. This week, it’s upper 80s to low 90s. Wait another week and it will probably drop ten degrees or so. It’s about 70 & sunny here right now, and a little breezy. We are supposed to get temps in the mid 80’s in a few days. We had a few nice days, then it had gotten cold again. It’s finally warming up today. It’s been in the mid 60’s this week which has been nice. It’s suppose to be in the 80’s next week and I hate it. I want winter back. Thank you! We have lots of rain lately but overall it has been nice. It’s about 50 here! finally nice! it snowed the other day, though. We are having some rain for the last few days and temps in the 70’s. I’m in NJ. It’s been pretty chilly. This morning was in the 30’s but now it’s warmed up to the 50’s. My Spring weather is chilly and rain,rain,and more rain! We have been in the 70’s all week and it is gorgeous. I’m not seeing any links to other blogs? Am I missing something? Hi Lisa, there’s a small box with 10 blog links directly under the giveaway widget. If you’re on mobile, you may not be able to see it but I just checked and I can see it on my Android phone. Let me know if you have any issues. Sunny and 70 in NE Tennessee. Today it’s raining and about 45-50 degrees. Supposedly we will hit 70 by Sunday. Today is sunny and 70 finally. Woohoo! Rain coming in this weekend. What kind of ‘spring’ weather are you experiencing where you live? Lots of April showers here on the Gulf Coast. It’s up and down in Maine right now. One day it’s 60-65, the next it drops back to 35-40. Well this past friday it was snowing here in northern Illinois, today we are at least back up in the fifties! finally. For some reason winter just does not want to let go. Nice weather in the mid 50’s. Today it is about 75 and sunny! It has been chilly, but I know the warmer weather is right around the corner.